A while ago, there used to exist a multi-volume set called the "Dictionary of Occupations". It has since been folded into the O*NET Online website. This is a handy site to use when you have businesses starting out, or looking to expand (there are some out there . . . really), and need some kind of basis to write a job description. This site is far more user-friendly than the old DofO, which was laid out in a less-than-intuitive classification system. Once you have that, you'll need to know rough estimates of what to pay those who are hired. For that, check out the "Wages by Area and Occupation" section on the Bureau of Labor Statistics website, here. Data.gov is leading the way in democratizing public sector data and driving innovation. The data is being surfaced from many locations making the Government data stores available to researchers to perform their own analysis. Developers are finding good uses for the datasets, providing interesting and useful applications that allow for new views and public analysis. This is a work in progress, but this movement is spreading to cities, states, and other countries. For instance, type in the word migration, and you'll get 2007-2008 State-to-State AND County-to-county Migration Inflow AND Outflow, along with the source of that data, which is the IRS. Enter the term business and find Business Employment Dynamics, Licenses and Permits Search, and Loans Search. At this point, many small businesses have websites. But it is unlikely that they are all using Search Engine Optimization, or SEO, to maximize the effectiveness of their website. For assistance in how to utilize SEO, there is 20 Essential Search Engine Optimization Tips for Small Business Owners. The U.S. Departments of Defense, Labor and Veterans Affairs, as part of their continued commitment to our Nation’s Service Members, Veterans, and their families, launched a new and improved National Resource Directory. The National Resource Directory is designed to serve a broad base of users including transitioning Service Members, Veterans, Wounded Warriors, and their families and caregivers. In addition, it is a useful tool for service providers who support Veterans and Service Members, such as Department of Defense Recovery Care Coordinators and AW2 Advocates, Veterans Affairs Federal Recovery Coordinators, health care providers and case managers at Veterans Service Organizations. The new features allow the Military and Veteran community to identify and stay informed about the thousands of resources that are available to them as well as browse for information they may not have known about it the past. Additionally, a faster, more accurate search engine provides the tools to sort results by subject area, audience and government or non-government resources to ensure users locate exactly what they want, without having to sort through thousands of links themselves. For more than a year, the National Resource Directory has provided Wounded Warriors, transitioning Service Members and Veterans, and those who support them with quick and easy access to resources they need. Resources on the National Resource Directory are vetted and must meet the participation policy standards before being added. This ensures that all the posted resources are relevant and from reputable sources. The new National Resource Directory is simple, easy-to-navigate and even more relevant to the needs of the Wounded Warrior, Veteran and caregiver communities. It also contains “In the News” and “Spotlight” features to highlight important news and updates. To tell friends and family about the new National Resource Directory, use the “Bookmark and Share” function to post updates on more than 200 social media networks such as Facebook or Twitter. If your company is dependent on larger sales from fewer customers, then you could put yourself at financial risk by taking on the wrong customer. One of the most common mistakes business owners make is to accept money from anyone who is willing to pay for their product or service -- even if the customer is not the ideal fit for their business. Whether you're a startup or a large corporation, taking on a new customer who doesn't match your ideal customer profile can be a big mistake. Here are seven situations that indicate you should say no to new business. If you don't heed this advice on when you should turn down new business you will be in serious danger of having a database of customers that can take your business into bankruptcy. SmallBusinessNewz had a story last week entitled Shopping Cart Abandonment - Seller's Fault or Consumer Behavior? It cites a Forrester Research report that said: "Despite improvements in site design and increased consumer comfort with online purchasing, 88% of Web buyers say that they have abandoned an online shopping cart without completing a transaction. This is the same percentage as five years ago, suggesting that retailers have yet to address the primary drivers of cart abandonment: frustration with the amount of shipping costs, unpreparedness to make a purchase, and a desire to comparison-shop for a lower price." 2) the vendor makes it too difficult to complete the transaction. Sometimes, I'm supposed to log in, and cannot as Guest. And the site asks me a bunch of things that I don't have either the time or inclination to answer. Or occasionally, it's the unreadable word verification I can't read and type "incorrectly"; forget THAT, I'll go elsewhere. "You’ve probably heard of greenwashing, a term describing marketing that makes exaggerated or otherwise misleading claims about the green credentials of a company or product. Greenwashing is a problem for consumers who wish to make truly informed decisions. And unfortunately, consumer skepticism in the face of all the green messaging that’s out there means that even scrupulous business owners promoting real environmental benefits need to make sure their message is credible." One of my State Data Center colleagues, Dale Miller, pointed this out to me. He thinks this is important to share, and I quite concur. Moreover, this being the graduation season, it’s timely! He has discovered that many parents are quite surprised about how much they are expected to contribute to their kids’ college costs. Dale writes, "This is referred to as their Expected Family Contribution (EFC). What typically happens is that parents bumble along (I know we did) until their child is a junior in HS and then they go through the process of applying to colleges and for financial aid at the FAFSA.gov website when WHAM >>>> - they get a reality check upside the head when it comes to how much the federal government thinks THEY can contribute toward attending school." I can imasgine there are MANY parents sitting in financial aid office with tears in their eyes over this. What can the schools or government could do to reduce this sticker shock when it comes to EFCs? Dale notes, "Figuring out financial aid has always been a bit of a 'black box'. You put a bunch of numbers in and out comes your EFC with no understanding of what it is or how it comes about. "Regardless, it is exactly what I have always maintained people should be able to do. Even better, it allows people to see their EFC right now, even if their kids are young and not even in kindergarten, let alone high school or college. So my challenge to everyone is to try it, and be prepared to hear the collective gasps of parents or perspective parents around the web as they see what their EFC actually is ! "OK, go to http://www.fafsa4caster.ed.gov/F4CApp/index/index.jsf and pick option "B" to get started. Remember, you’ll need some basics like your adjusted gross income and how much you paid in taxes last year. Having other info, like any 529 Education account balances, or 401K contributions is also good to have. But even in the worst case, you can just punch in some estimates to see what ballpark your EFC will fall in." Dale believes that putting this information on this site "could help people reassess what they are doing to prepare for their kids' futures!" In answer to a question about websites or other resources that offer free credit score information, as opposed to just free credit reports, a colleague pointed out a Wall Street Journal article, Credit Scores: Can You Get Them Free? If you are curious about your credit scores, you may have tried one of the plethora of Web sites and services that offer some free credit information, then lure you into paying for your scores, usually as part of a credit-monitoring package. Consumers are entitled by law to a free credit report— which is simply a record of your borrowing and repayment history — but the numerical scores derived from these reports will cost you, in part because credit-reporting agencies aren't required by law to provide them for free to consumers along with the reports. Now, a handful of companies are launching services that give consumers at least a glimpse at their credit scores free of charge. The sites— Credit.com Inc., Credit Karma Inc.'s CreditKarma.com and Quizzle.com— also offer a window into the key factors that go into calculating your score, what you can do to improve them and how your credit stacks up against others. Last week, for example, Credit.com launched a free Credit Report Card that shows consumers how they're likely to rate across five credit-scoring models. So I tried them all out this morning. My experience with Credit.com was similar to the article writer's. I got A+ in four categories, and a C- in Account Mix, but that's only 10% of my score, so I received an A overall. It doesn't give absolute numbers but it does give ranges, and based on a report I had paid for, the FICO range of 750 to 850 appears correct. I waas mildly annoyed that to get my actual score I was requested to "upgrade" my account for "just $14.95 per month." CreditKarma.com gave me a slightly lower score, in large part because, of the seven criteria, I got 3 A's 2 B's (for 99.00% on-time payments, and 2 hard credit inquiries), and 2 N/A. Since they apparently have no information on my monthly income, they can't calculate my debt-to-income ratio. This site had some interesting statistics about credit here. I "have a score better than 167 million people," FWIW. It took me a while to get to the end of Quizzle.com, and it wasn't for lack of effort. Earlier, I'd get to a certain point and it'd claim I was leaving out some unstated information. So I tried it later, and I got tripped up by one of the verification questions - "How much is our monthly mortgage?" - and I must have picked the wrong range (hey, it comes out automatically out of the bank account; it's not as though I write a check.) BUT, you can then call the 800 number, give them additional information, and then get into the system. These results I also found accurate, AND, as the story reports, "One thing Quizzle.com offers that the others don't is a free credit report — and the ability to dispute errors on your Experian credit report on the site." Debt Usage 30% of your score - keep your debt under control! Credit Age 15% of your score - "A long credit history shows that you are established." Account Mix 10% of your score - Balance of credit and loan accounts on your credit report. Inquiries 10% of your score - "Applying for new credit conservatively is helping to boost your score." If your revolving utilization stays under 10% you'll continue to earn almost all of the credit score points available in this category. As that percentage goes higher, your score will go lower. It's a common myth that you only need to keep your revolving utilization 50%. That's absolutely incorrect. 50% is better than 60% but not as good as 40%. There's another common myth that could hurt you in this category: some people recommend that you should close your credit card accounts if you are not using them. However, closing accounts can cause your utilization rate to go up and your credit score to go down. If you have an old account you don't want, you may want to cut up the card but not close the account. Cutting up the card will prevent it from being used fraudulently but will leave you with the unused credit limit for your credit score. This is the best description I've read on this. Closing old-line credit cards of long tenure could LOWER your score. There are a few different ways you can maintain a low revolving utilization rate. Keeping credit card balances low, increasing your credit limits or opening new credit card accounts for extra borrowing power could all work. However, the safest option is to maintain low balances on the credit cards that you are currently using. Opening new accounts or requesting credit limit increases could have a negative impact on your credit score. In their third annual survey to measure and monitor consumer behaviors that have an impact on the environment, the National Geographic Society and the international polling firm GlobeScan have found that environmentally friendly behavior among consumers in 10 out of 17 countries has increased over the past year. The survey results show that environmentally friendly consumer behavior, as measured by the Greendex, has now increased from 2008 levels in all but one of the 14 countries polled in both 2008 and 2010. By environmentally friendly consumer behavior, we mean people’s transportation patterns, household energy and resource use, consumption of food and everyday consumer goods, and what consumers are doing to minimize the impact these activities have on the environment. Greendex 2010: Consumer Choice and the Environment — A Worldwide Tracking Survey is a comprehensive measure of consumer behavior in 65 areas relating to housing, transportation, food and consumer goods. Greendex 2010 ranks average consumers in 17 countries according to the environmental impact of their consumption patterns and is the only survey of its kind. As in 2008, the top-scoring consumers of 2010 are in the developing economies of India, Brazil, China, in descending order. American consumers’ behavior still ranks as the least sustainable of all countries surveyed since the inception of the survey three years ago, followed by Canadian, French and British consumers. Consumers in emerging economies continue to round out the top tier of the Greendex ranking, while the six lowest scores were all earned by consumers in industrialized countries. Cornell's Integrated Pest Management Program has released nine new organic production guides. The new guides provide information on how to produce certified organic apples, blueberries, grapes, lettuce, potatoes, spinach, strawberries and cole crops, including cabbage, cauliflower, broccoli and Brussels sprouts. The guides cover integrated pest management techniques, with sections on cover crops, resistant varieties, crop rotation, field selection and soil quality. The Census Bureau is conducting a half-day workshop for data users on the 2007 Economic Census. • New users learn about the range of data about businesses available from the Census Bureau, including both the Economic Census and more frequent data sets. • Experienced users learn about new features of the data, comparability issues, and qualifications of the data. • Attendees gain skills in accessing Economic Census data in American FactFinder. • Attendees have the opportunity to tell others about their own practical applications of the data and learn what others are doing. Additional workshops are planned for New York City (June 10 and 11, 2010) and Syracuse (June 24, 2010). For details about these workshops see HERE. WASHINGTON – With the June 1 start of another Atlantic hurricane season, the U.S. Small Business Administration and Agility Recovery Solutions are launching a new Web site to help small businesses develop an emergency preparedness plan before disaster hits, and reminding homeowners and renters to plan ahead as well. "Regardless of where you live, it’s a good idea to be ready for any kind of crisis," said SBA Administrator Karen Mills. "Every threat, from wind storms, floods, wildfires and earthquakes, to power outages and computer system failures, reminds us to be proactive when it comes to building strategies to survive a disaster and recover quickly. Recent disaster events demonstrate the need for preparedness to reduce the risk to life and property." Weather experts are predicting this year’s storm season may be the most intense since 2005, when Hurricanes Katrina, Rita and Wilma devastated the Gulf Coast states. 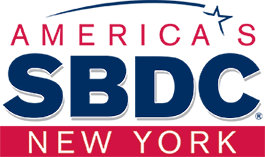 In an effort to encourage businesses to plan ahead, the SBA has teamed with Agility Recovery Solutions, a firm that has provided business continuity and disaster recovery tools to small companies for 21 years. This week, the SBA and Agility launched the Prepare My Business Web site. Prepare My Business provides tips on how small business owners can develop their own disaster preparedness plans, and features interactive tools such as monthly webinars on business continuity planning. "It is critical that small businesses have a written disaster preparedness plan in place so that they are ready to deal with the challenges that often come without notice, and get their businesses back up and running", said Administrator Mills. • A written emergency response plan. Find evacuation routes from your home or business and establish meeting places. Make sure everyone understands the plan beforehand. Keep emergency phone numbers handy. Business owners should designate a contact person to communicate with other employees, customers and vendors. Ask an out-of-state friend or family member to be your "post-disaster" point of contact, a person to call to provide information on your safety and whereabouts. • Adequate insurance. Disaster preparedness begins with having adequate insurance coverage, at least enough to rebuild your home or business. Homeowners and business owners should review their policies to see what is not covered. Businesses should consider "business interruption insurance,"
which helps cover operating costs during the post-disaster shutdown period. Flood insurance is essential. To find out more about the National Flood Insurance Program, visit the Web site at www.floodsmart.gov. • Making copies of important records. It’s a good idea to back up vital records and information saved on computer hard drives, and store those items at a distant offsite location. Computer data should be backed up routinely. Copies of important documents should be kept in fire-proof safe deposit boxes. • A "Disaster Survival Kit." The kit should include a flashlight, a portable radio, extra batteries, a first-aid kit, non-perishable packaged and canned food, bottled water, a basic tool kit, plastic bags, cash, and a disposable camera to take pictures of the property damage. In addition to the Prepare My Business site, more preparedness tips for businesses, homeowners and renters are available on the SBA’s Web site at www.sba.gov/disasterassistance. To learn more about developing an emergency plan, visit the Federal Emergency Management Agency’s Web site at Ready.gov or call 1-800-BE-READY to receive free materials. The SBA makes low-interest loans to homeowners, renters and non-farm businesses of all sizes. Homeowners may borrow up to $200,000 to repair or replace damaged real estate. Individuals may borrow up to $40,000 to cover losses to personal property. Non-farm businesses and non-profit organizations of any size may apply for up to $2 million to repair or replace disaster damaged business assets and real property. Small businesses and non-profits that suffered economic losses as a direct result of the declared disaster may apply for a working capital loan up to $2 million, even if the property was not physically damaged. Everywhere you look there are articles on how to ensure your privacy on Facebook. With new releases, the default settings change but here is a visual representation of how the default privacy settings on Facebook have evolved over the years. To ensure you do not get caught up in updates to Facebook that adversely affect your privacy, have a look at this article from Electronic Frontier Foundation that explains the latest changes and what your options are. They have also created a video.